The latest Derby magistrates’ court results are listed below including cases from the Belper, Ilkeston, and Ripley and Heanor areas. Kevin Hodnett, 49, of Fosbrooke Drive, Long Eaton. Pleaded guilty to being in charge of a vehicle, namely a Land Rover Discovery, on Wilsthorpe Road, Long Eaton, after consuming so much alcohol that the proportion in his breath exceeded the prescribed limit. Must pay a £115 victim surcharge and £85 costs. Disqualified from driving for five years. Committed to prison for 18 weeks suspended for 24 months. Thomas Wilson, 32, of Holywell Road, Ilkeston. Pleaded guilty to exceeding the alcohol drink-drive limit. Fined £475 and must pay a £47 victim surcharge and £85 costs. Disqualified from driving for 12 months. Jamie Phillip Kent, 37, of Tamworth Road, Long Eaton. Pleaded guilty to speeding. Fined £192 and must pay a £30 victim surcharge and £85 costs. Driving record endorsed with four points. Mark Alliott, 50, of Laurel Crescent, Long Eaton. Proved under the Single Justice Procedure that he was speeding on Tamworth Road, at Long Eaton. Fined £440 and must pay a £44 victim surcharge and £85 costs. Driving record endorsed with three points. Paul Anthony Barsby, 38, of Stamford Street, Ilkeston. Proved under the Single Justice Procedure that he used a vehicle without insurance on Stamford Street, at Ilkeston. Fined £660 and must pay a £66 victim surcharge and £85 costs. Driving record endorsed with six points. Proved under the Single justice Procedure that he used a vehicle without a test certificate. No separate penalty. Gavin Bostock, 41, of Nelson Street, Ilkeston. Proved under the Single Justice Procedure that he drove otherwise than in accordance with a licence. No separate penalty. Proved under the Single Justice Procedure that he used a vehicle without insurance. Fined £660 and must pay a £66 victim surcharge and £85 costs. Driving record endorsed with seven points. Mandy Jane Bradley, 46, of Sycamore Crescent, Sandiacre. Proved under the Single Justice Procedure that she used a vehicle without insurance. Fined £660 and must pay a £66 victim surcharge and £85 costs. Driving record endorsed with six points. Proved under the Single Justice Procedure that she used a vehicle without a test certificate. No separate penalty. Lee Stephen Charlesworth, 40, of Granby Street, Ilkeston. Proved under the Single Justice Procedure that he failed to give information relating to the identification of a driver who was alleged to have been guilty of an offence. Fined £660 and must pay a £66 victim surcharge and £85 costs. Driving record endorsed with six points. Thomas De Gennaro, of Rowland Court, Alfreton. Proved under the Single Justice Procedure that he used a vehicle without insurance. Fined £660 and must pay a £66 victim surcharge and £85 costs. Driving record endorsed with six points. David Martin Hallsworth, 34, of Lime Crescent, Belper. Proved under the Single Justice Procedure that he was speeding on Peasehill Road, at Ripley. Fined £220 and must pay a £30 victim surcharge and £85 costs, Driving record endorsed with three points. Tyrone Knighton, 21, of Beauville Drive, Ilkeston. Indicated a guilty plea to stealing a tool box valued at £114 belonging to Halfords at Waterside Retail Park, Ilkeston. Fined £120 and must pay £289 compensation, a £30 victim surcharge and £85 costs. Indicated a guilty plea to attempting to steal a tool box valued at £114 belonging to Halfords, at Waterside Retail Park. No separate penalty. Matthew Edward Da Kemp, 29, of Minkley Drive, Long Eaton. Pleaded guilty to assault by beating. Must pay £100 compensation, an £85 victim surcharge and £85 costs. Community order to last until August 14, 2018, with a six-week curfew. Ian Mann, 47, of Beauvale Drive, Ilkeston. Pleaded guilty to assault by beating. Must pay £100 compensation, an £85 victim surcharge and £85 costs. Admitted breaching bail conditions. Community order to last until July 4, 2019, with a Rehabilitation Activity Requirement and 80 hours of unpaid work. Restraining order to last until January 9, 2020. Jordan Ashley Hayter, 25, of Norman Street, Ilkeston. Admitted failing to comply with the requirements of a community order by failing to attend with a responsible officer. No adjudication. Dealt with for the original offences which were subject to the community order including stealing wine and non-alcoholic lager belonging to One Stop, on Charlotte Street, Ilkeston, and stealing Stella Artois belonging to One Stop, on Charlotte Street, Ilkeston. Admitted a further count of failing to comply with the requirements of a community order by failing to attend with a responsible officer. No adjudication. Dealt with for the original offences which were subject to the community order of damaging windows valued at £400, at Norman Street, Ilkeston, damaging a door window valued at £250, at Norman Street, Ilkeston, and failing to surrender to custody at Derby magistrates’ court having been released on bail. Committed to prison for eight weeks suspended for 12 months with a Rehabilitation Activity Requirement. Kalum John Alexan Rhule, 28, of No fixed abode. Pleaded guilty to two counts of assault by beating at Lea Crescent, Ilkeston. Must pay a £115 victim surcharge and £300 costs. Pleaded guilty to using violence to secure entry to a property at Lea Crescent, Ilkeston. Committed to prison for eight weeks suspended for nine months with a Rehabilitation Activity Requirement. Restraining order to last until January 2, 2019. Admitted committing an offence while subject to a conditional discharge for six months for being drunk-and-disorderly. No action taken on the breach. Barry Claven, 46, of Bath Street, Ilkeston. Pleaded guilty to using threatening behaviour at Bath Street, Ilkeston. Must pay £100 compensation, an £85 victim surcharge and £450 costs. Community order to last until July 3, 2019, with a Rehabilitation Activity Requirement and 150 hours of unpaid work. Restraining order to last until July 3. 2019. Kieran Lee Adam Morley-Walker, 28, of Station Road, Ilkeston. Pleaded guilty to damaging a vehicle. Pleaded guilty to assault by beating. Fined £10 and must pay an £85 victim surcharge and £85 costs. Community order to last until July 4, 2019, with an Alcohol Treatment Requirement and a Rehabilitation Activity Requirement. Mark Donald Newbold, 50, of Vernon Street, Ilkeston. Non-payment of a £160 fine. Committed to prison for seven days in default of payment and to be served concurrently with an existing sentence because the defendant is a serving prisoner. Steven Riley, 43, of Victoria Street, Ripley. Non-payment of a £118 fine. Committed to prison for seven days in default of payment and to be served concurrently with an existing sentence because the defendant is a serving prisoner. Daniel James McKenzie Adlam, 23, of Church Street, Heage, Admitted failing to comply with the supervision requirements imposed after release from imprisonment by failing to attend with the supervising officer. Fined £100. Dolanyi Zsolt, 25, of Kennington Road, Nottingham. 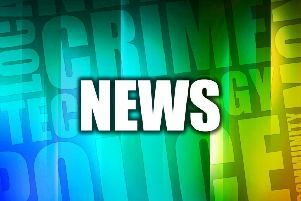 Indicated a guilty plea to attempting to steal copper wiring at Keddleston Drive, Heanor. Must pay £250 compensation, an £85 victim surcharge and £85 costs. Indicated a guilty plea to stealing scrap. Pleaded guilty to using a vehicle without insurance. No separate penalty. Disqualified from driving for six months. Pleaded guilty to using a vehicle which was in such a condition its use posed a danger. No separate penalty. Indicated a guilty plea to fraudulently using a registration mark. Community order to last until July 4, 2019, with 180 hours of unpaid work.